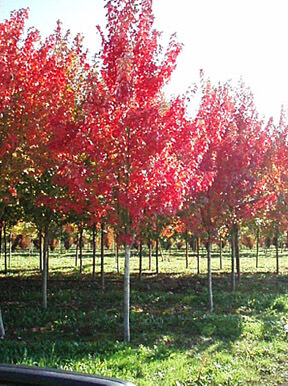 The Autumn Blaze maple has brilliant bright red fall color. 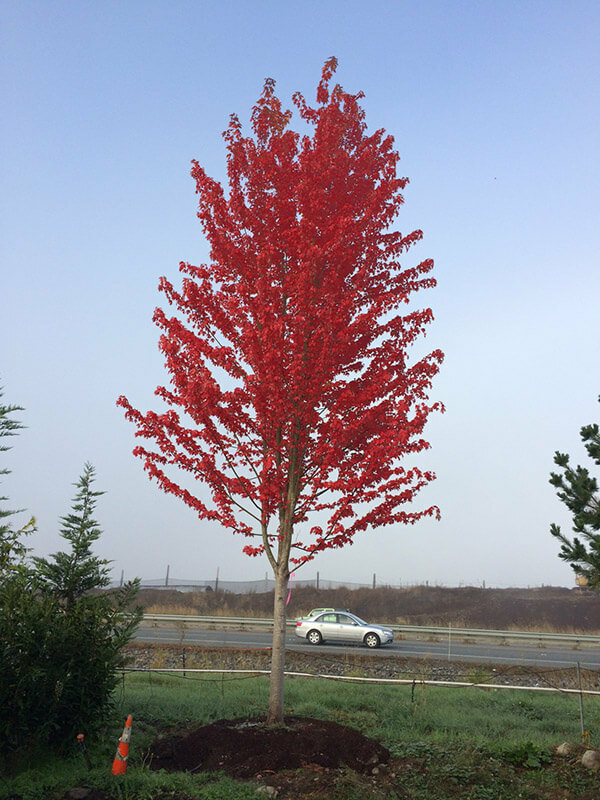 It is one of the first trees to go into fall color and one of the longest to hold the fall color. 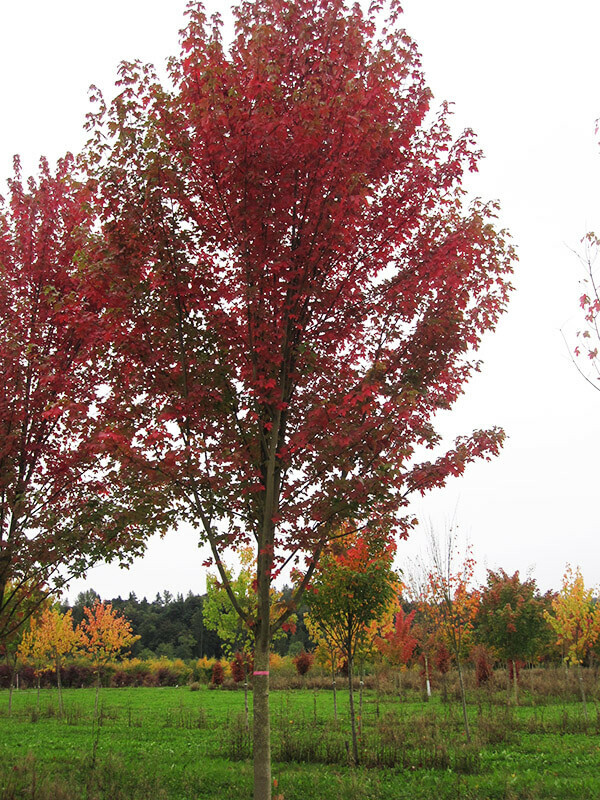 The Autumn Blaze maple is fast growing and does grow to be 50 feet tall and 40 feet wide.